Do nothing. Literally, absolutely nothing. Although if you read my 2015 blogging goals post here, you’ll know that for me this is easier said than done! 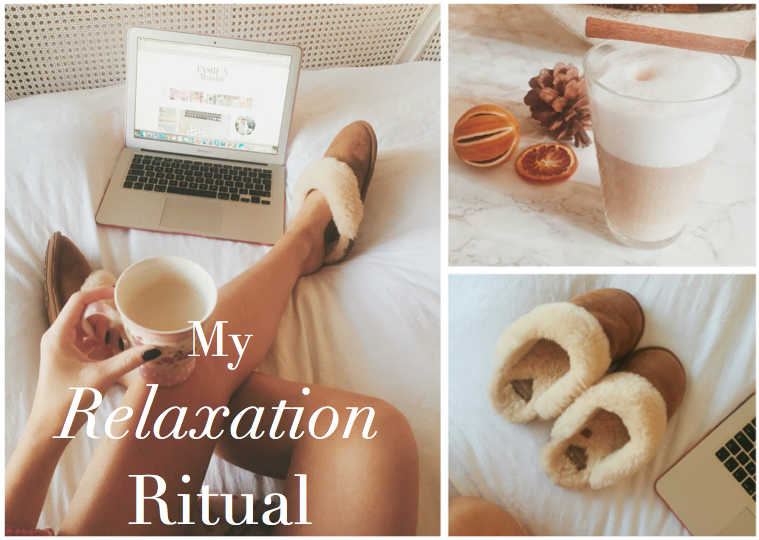 So while I may not be able to do nothing I will be chilling at home, wearing my cosiest gear (currently my Christmas dressing gown, and these super fluffy slippers from Bedroom Athletics*) and preparing some blog posts for the upcoming weeks. To get in the zone on my chill out days, I like to make sure the ambience is perfect. This means lighting one of my favourite scented candles, the This Works Deep Sleep Heavenly Candle which has the most dreamy fragrance of lavender and chamomile, both known for their stress relieving properties. While I want to be calmed, I don’t want to be nodding off when I’m trying to be productive, so I get my caffeine hit by making scrummy Cappuccinos at home with the Nespresso Latissima Coffee Machine which I’ve been trying out recently! I’m not a huge coffee person but being able to make such lovely cappuccinos at home, and so easily too, the Nespresso machine could easily be converting me! To pamper myself, I’ll lather up in some sumptuous body lotion such as the Origins Ginger Souffle with it’s uplifting fragrance and perhaps apply a nourishing Face Mask later in the evening. Usually in the evenings, Charlie and I will stick on the Netflix and enforce a No Phones, No Laptops rule so that we can both totally chill out. One thing is missing from my relaxation routine though. I am so much more content when I have a little fluff ball to cuddle up to, and I’m hoping that 2015 is the year that we will be able to get our own little puppy in London, but it’s seriously tricky when we both have full time jobs in the city!